Salem, OR—February was the first month for medical marijuana dispensaries to remit the taxes they collected on their previous month's recreational marijuana sales. Dispensaries are responsible for collecting a 25-percent tax at the point of sale and remitting it to the Department of Revenue monthly. Between February 1 and March 4, we posted 253 estimated marijuana tax payments to our system, totaling $3.48 million. Of those payments, 137 were made by appointment and 116 were made by mail. 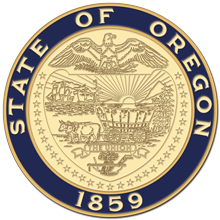 There were 309 dispensaries selling recreational marijuana products in January, according to the Oregon Health Authority. •	Taxes collected for February's sales are due to the department by March 31. •	They need to register for a tax account before making their first payment. •	Vouchers need to be included with all payments. •	Cash, check, or money order are the only payment options. •	Cash payments are only accepted at the department's main office in Salem. Appointments are required. Call (503) 945-8050 at least 48 hours in advance to schedule an appointment. Appointment times are limited, so please call early in the month. Visit www.oregon.gov/dor to get tax forms, check the status of your refund, or make tax payments; or call 1 (800) 356-4222 toll-free from an Oregon prefix (English or Spanish); (503) 378-4988 in Salem and outside Oregon; or email, questions.dor@oregon.gov. For TTY (hearing or speech impaired), call 1 (800) 886-7204.